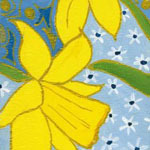 Valerie was born in the Shropshire hills but has lived in North Wales since 2002. 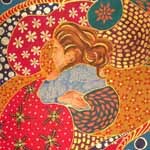 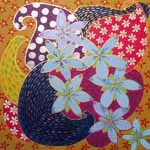 Increasingly moved and inspired by her new surroundings she found that past extensive travel in South East Asia and Australia began to mingle with Wales and find expression through painting, often on wood. 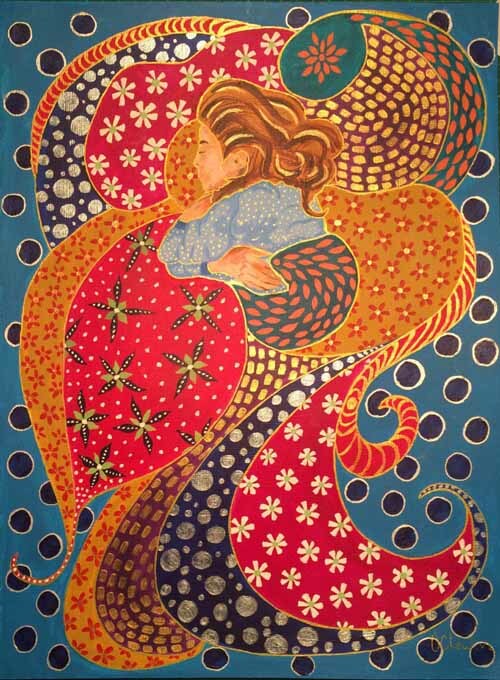 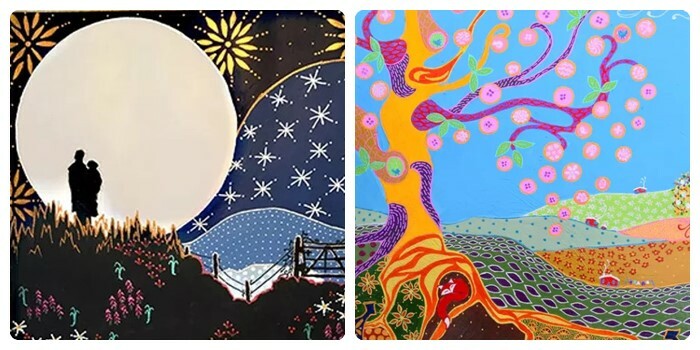 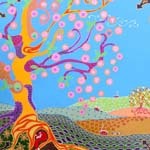 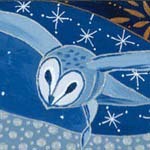 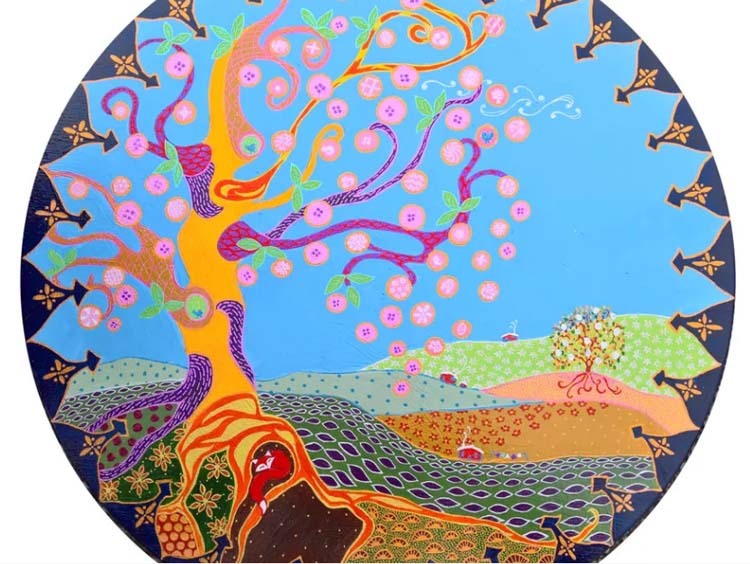 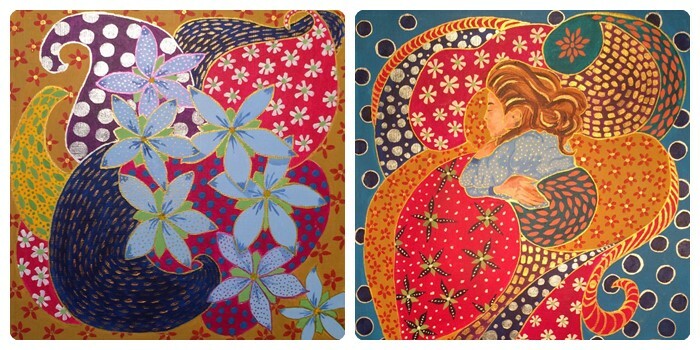 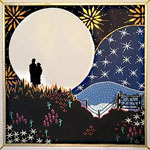 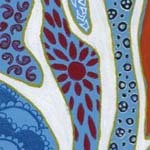 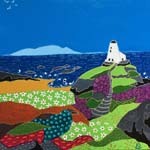 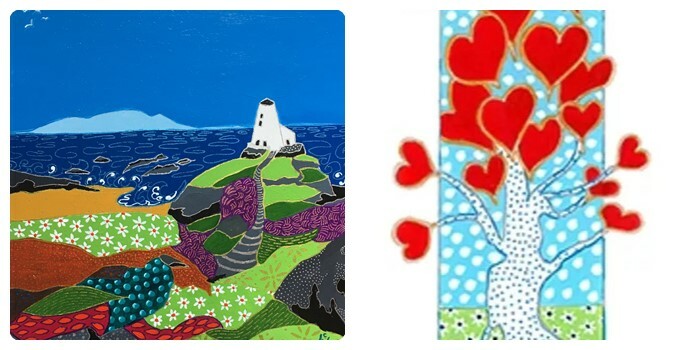 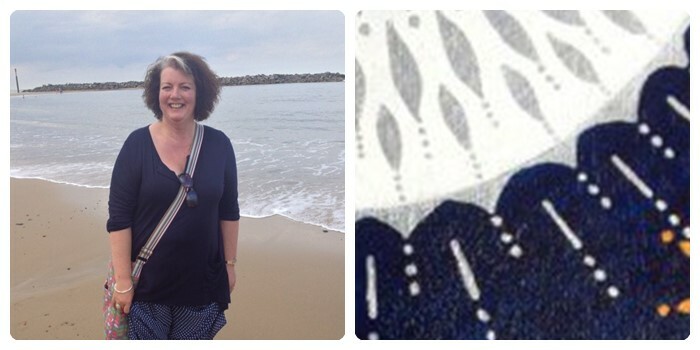 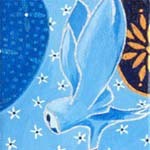 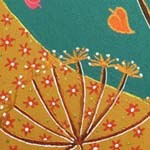 Valerie’s art is a happy fusion of pattern, clear bright colour and natural themes – folk art to make you smile.